Stay out of the elements and enjoy taking on winter's wrath in the comfort of a heated* cab. 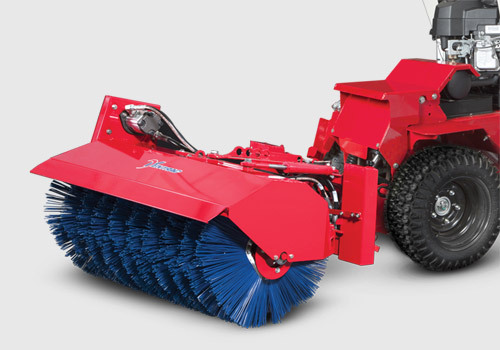 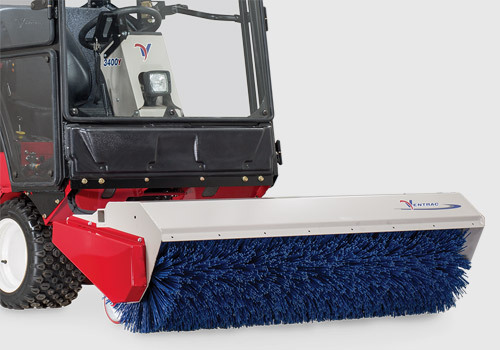 The Power Broom is an efficient solution for light to medium snowfalls. 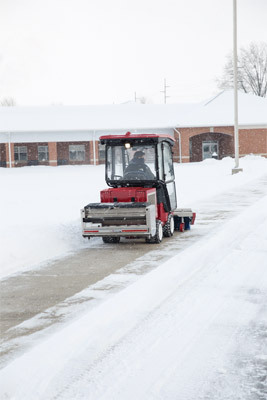 Quickly clear a path through snow leaving a clean surface. 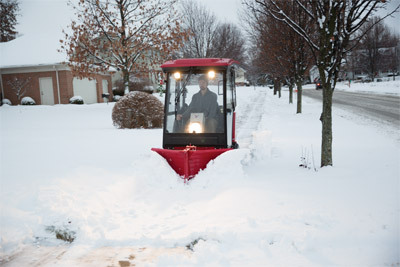 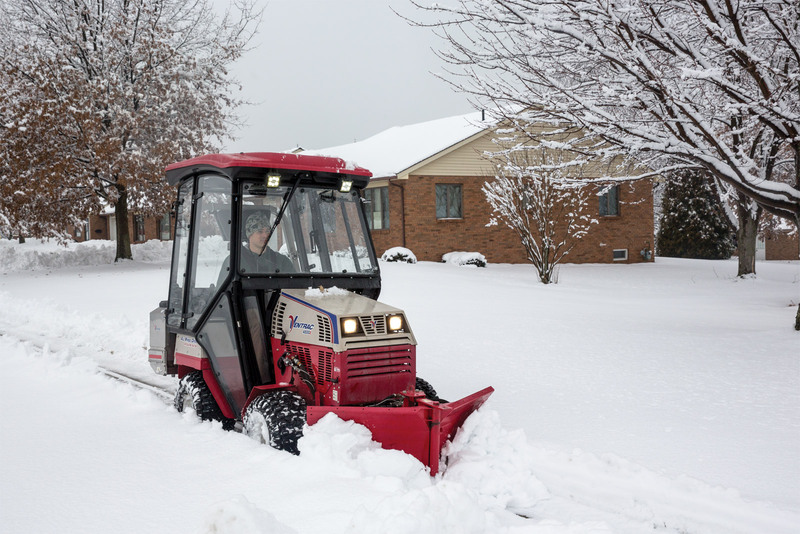 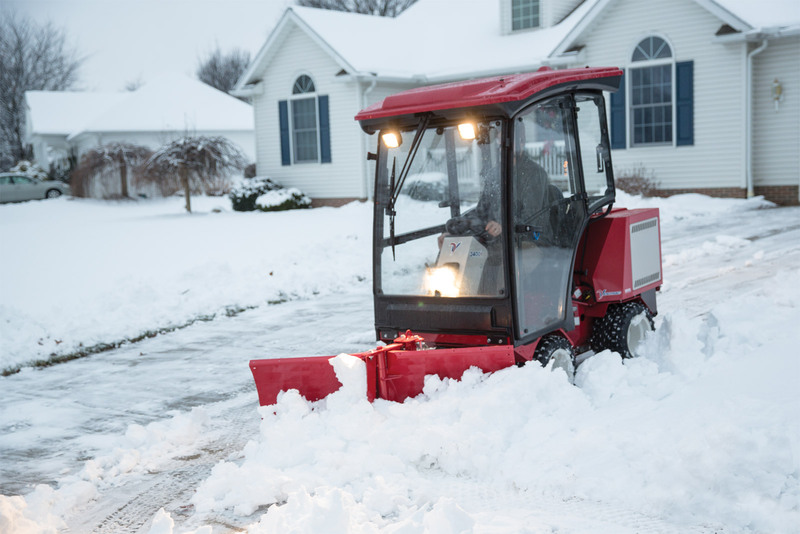 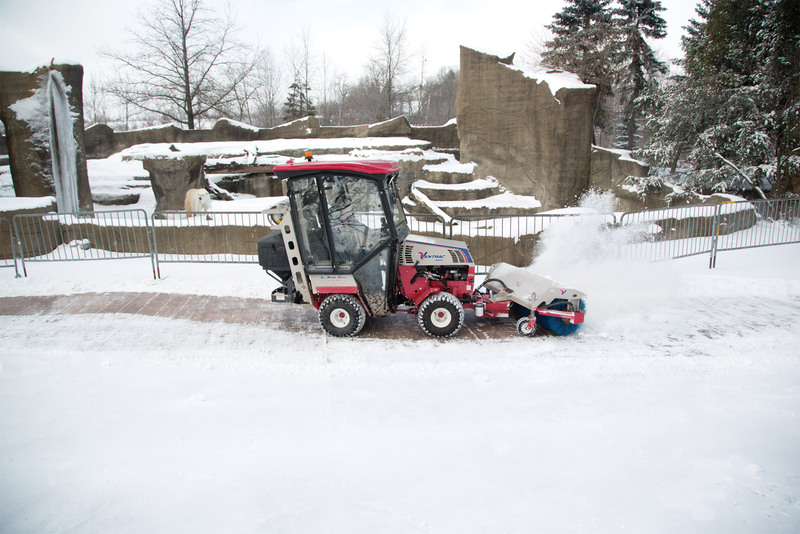 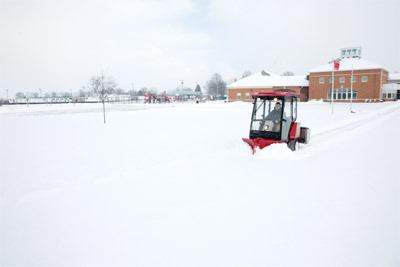 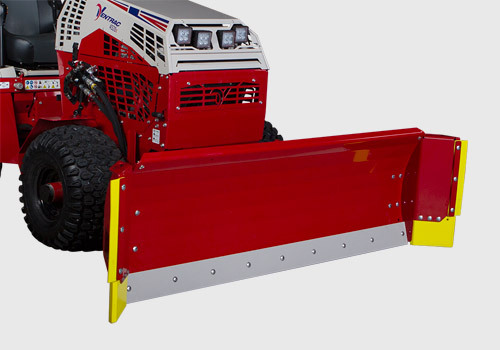 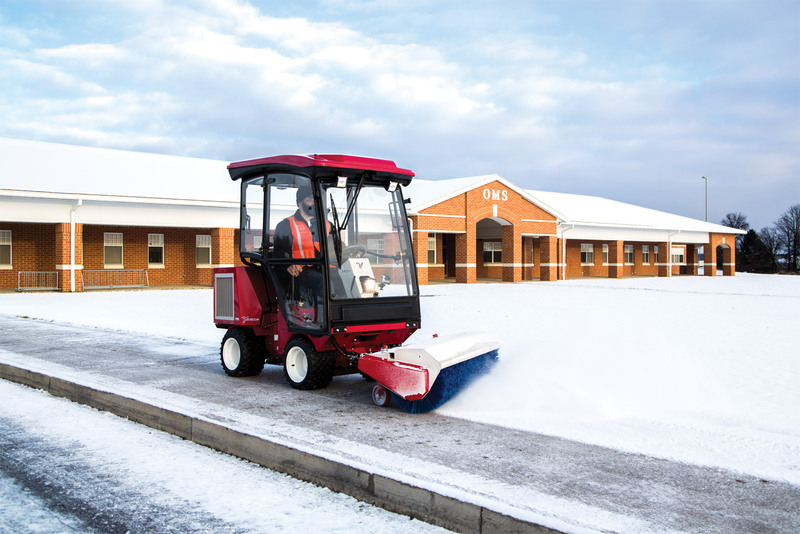 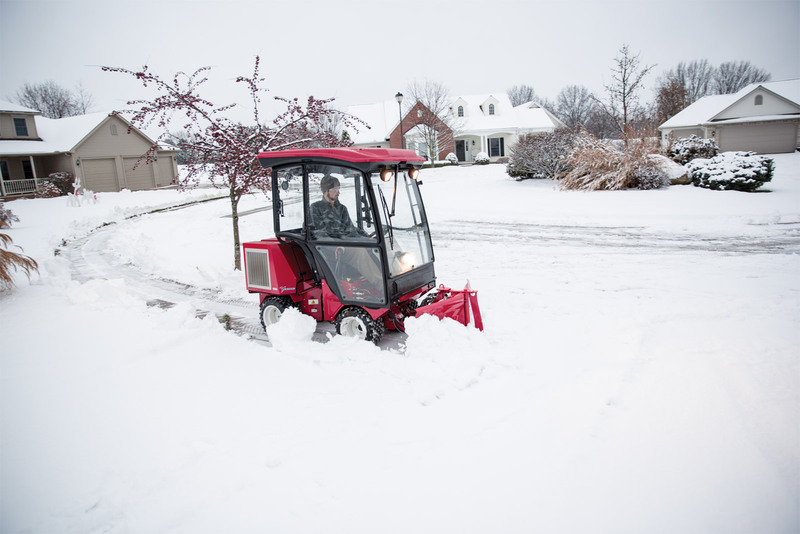 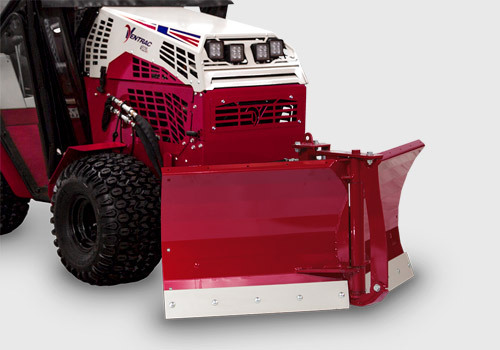 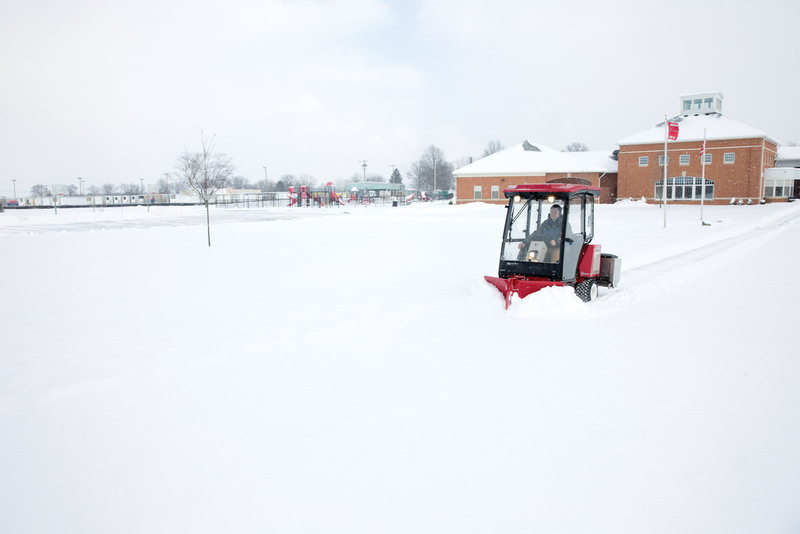 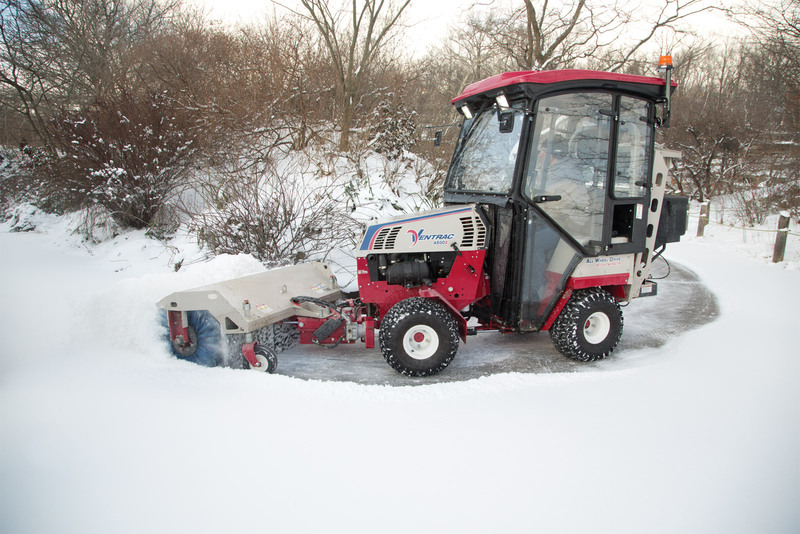 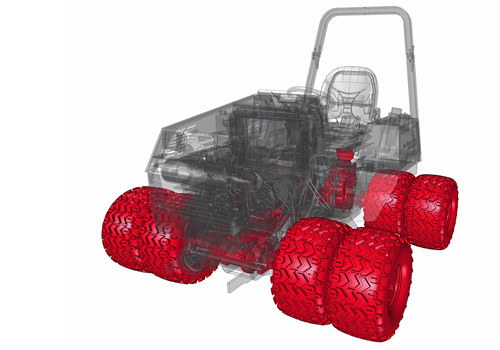 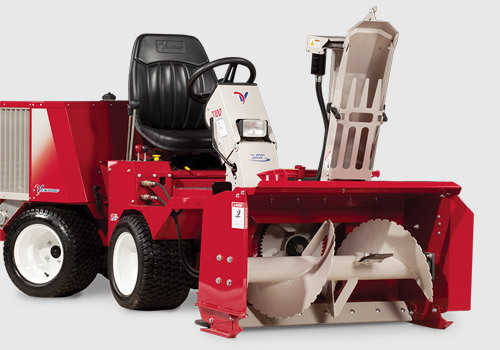 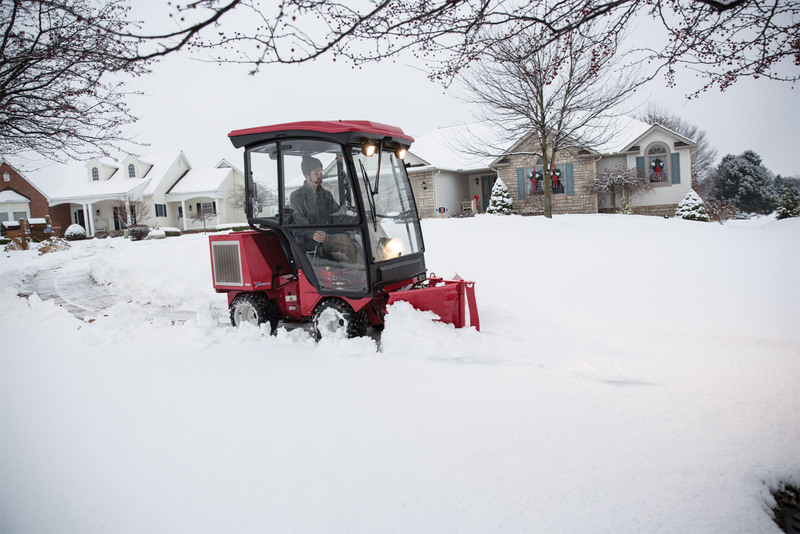 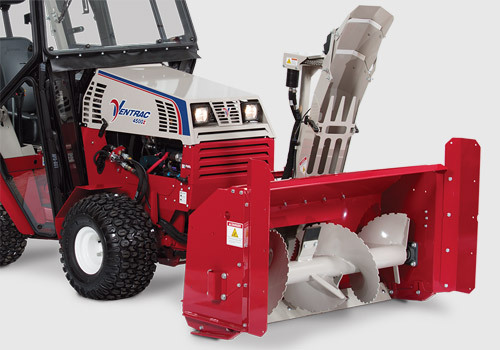 The Ventrac V-Blade cuts through snow, separating and pushing it to both sides. 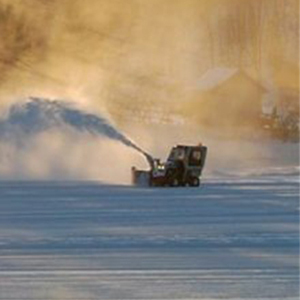 Both wings adjust hydraulically for ease in controlling the direction of the snow. 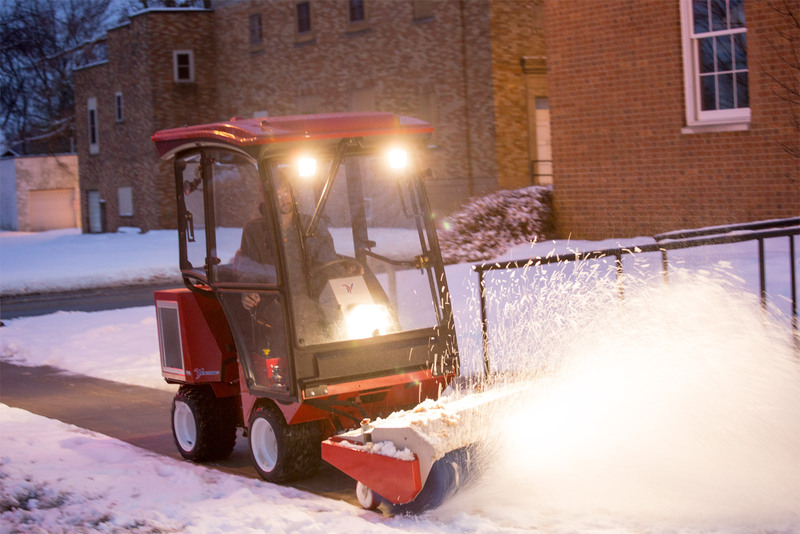 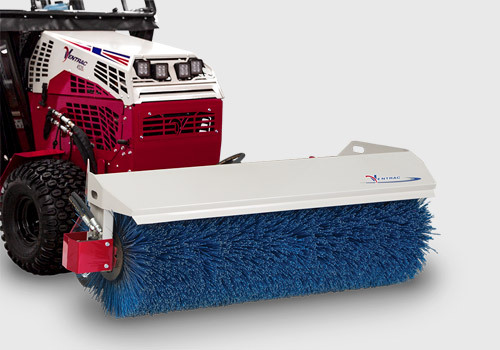 A rear-mounted spreader allows you to spread de-icing material as you are plowing the snow, saving time and energy. 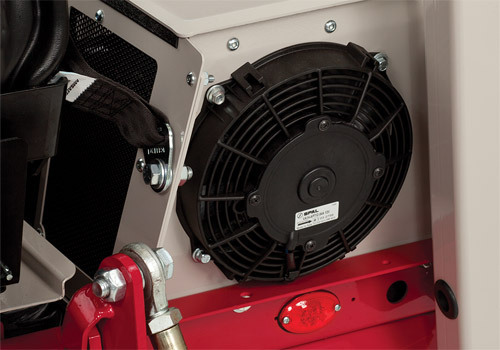 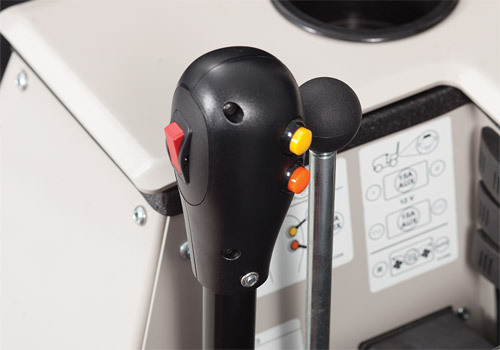 Hydraulic oil cooler includes a thermostatically controlled fan with the reverse feature that keeps cooling fins clean and can add warmth for operators using a cab. 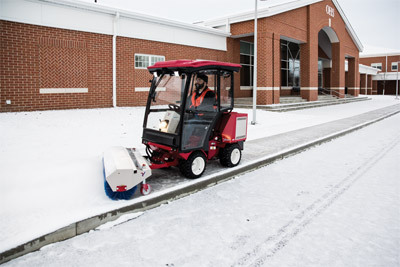 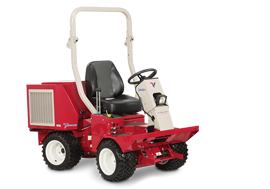 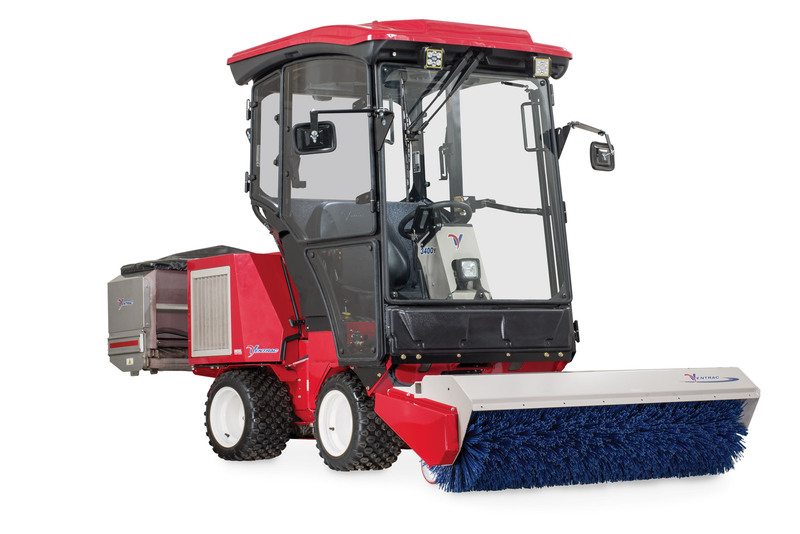 The Ventrac Sidewalk Drop Spreader is the ultimate tool for spreading an array of deicing materials with precision flow control. 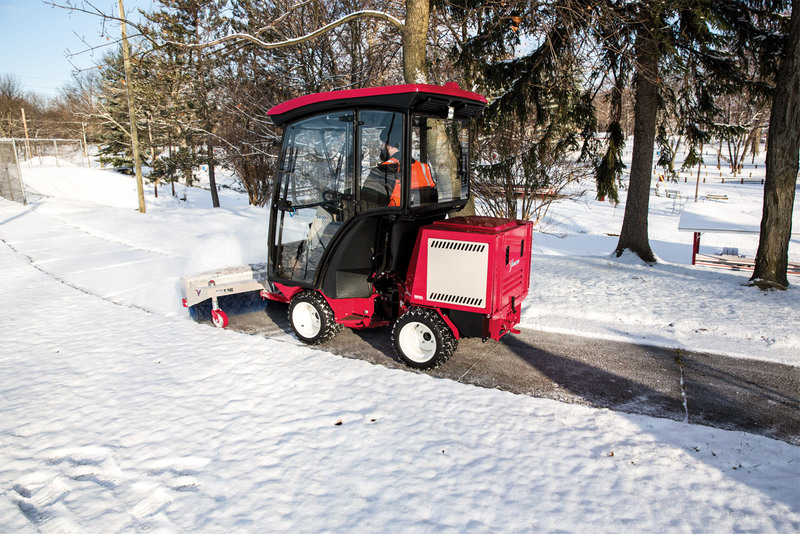 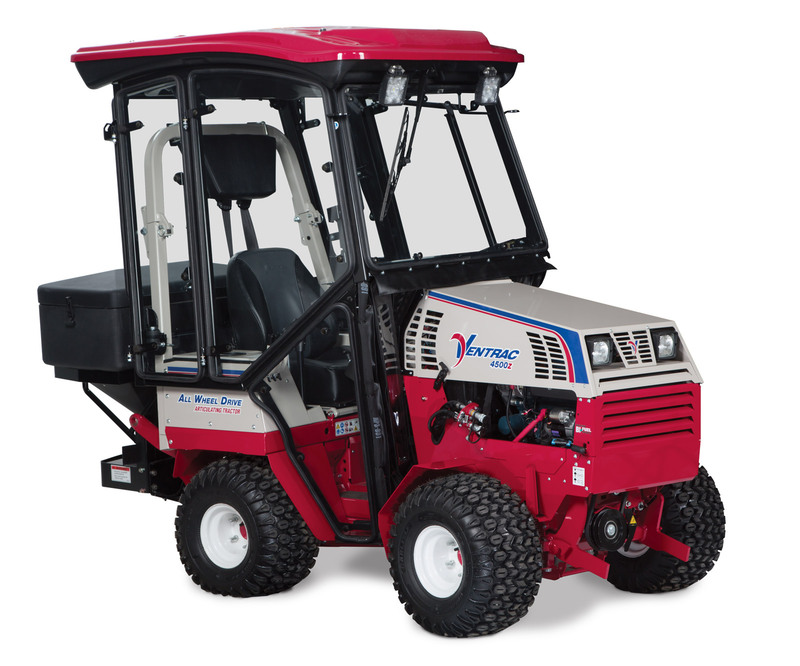 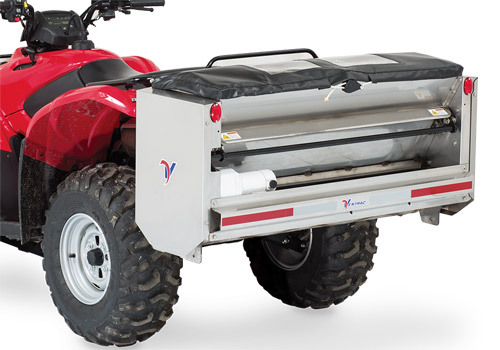 This video walk-around highlights the new and improved features of the KW452 Cab as well as highlighting all the benefits that make this cab an essential addition to your Ventrac 4500 for winter maintenance. 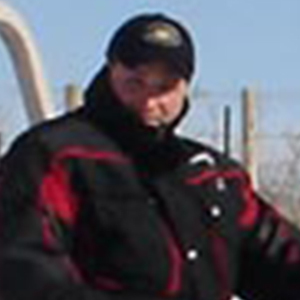 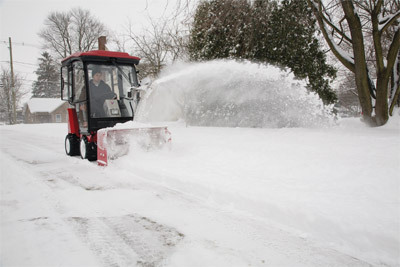 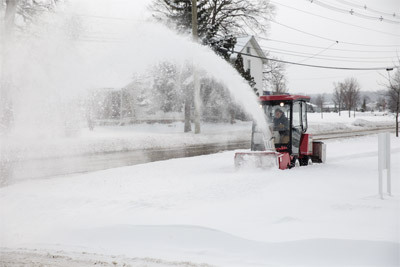 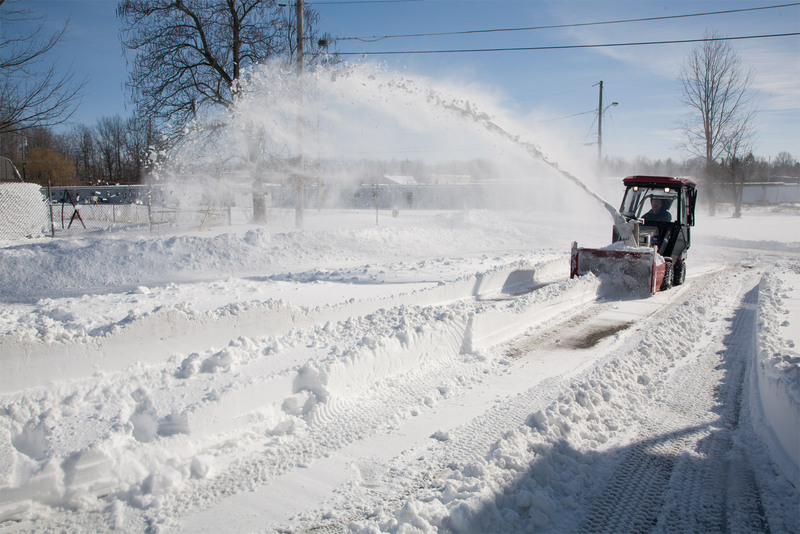 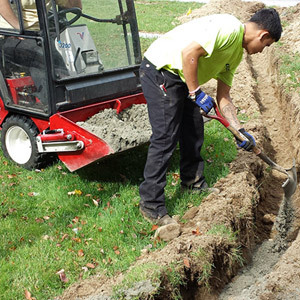 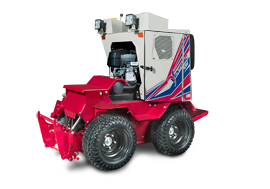 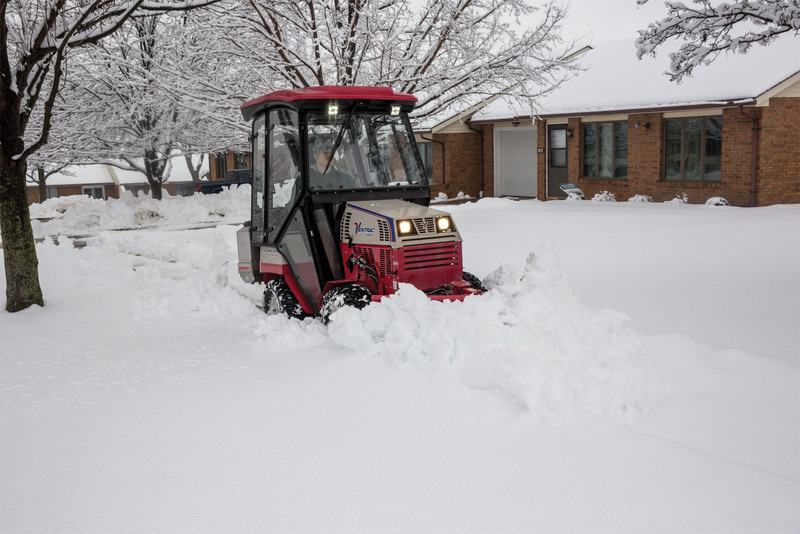 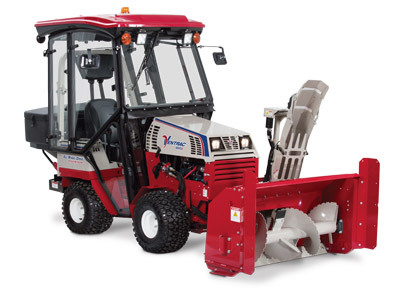 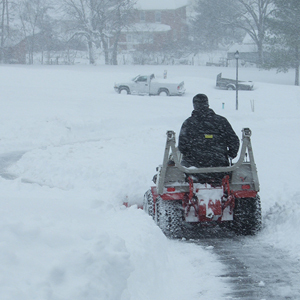 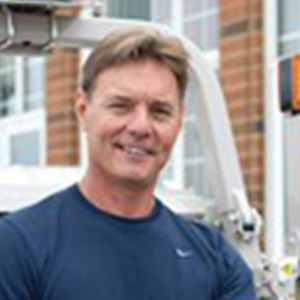 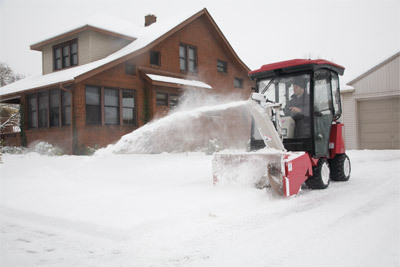 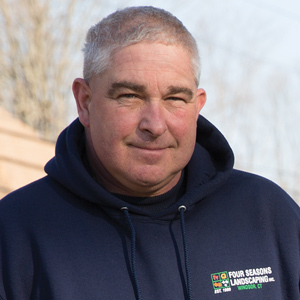 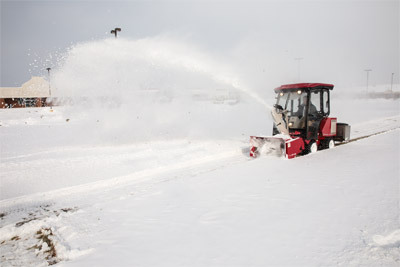 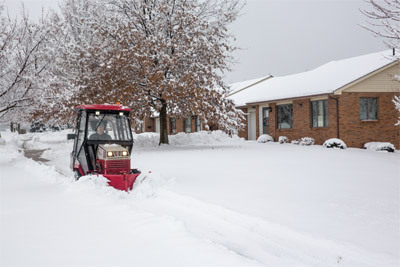 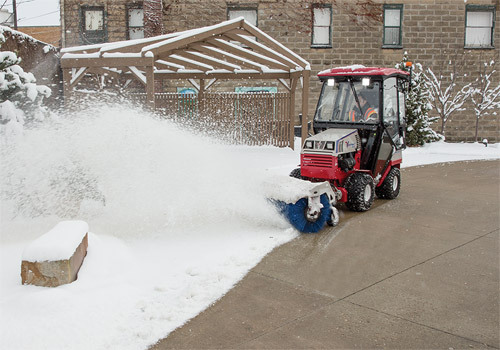 Xtreme Snow Pros is a top snow removal company located in New Jersey. 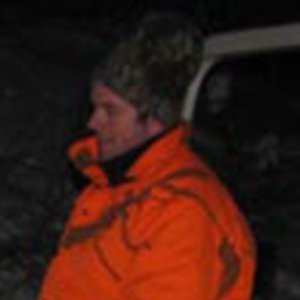 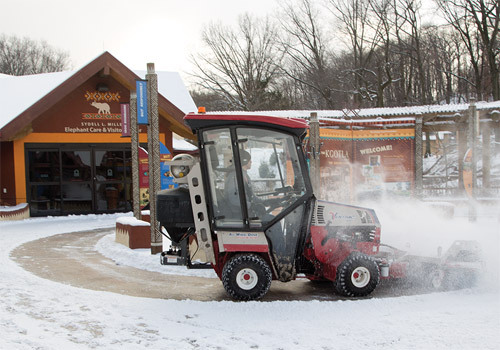 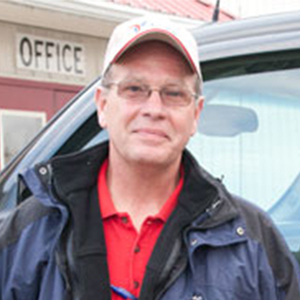 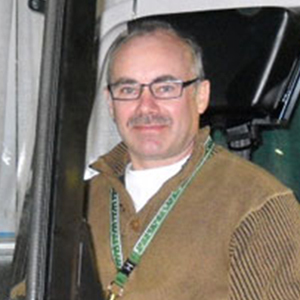 With over 30 years of experience, they know what it takes to handle any snow event. 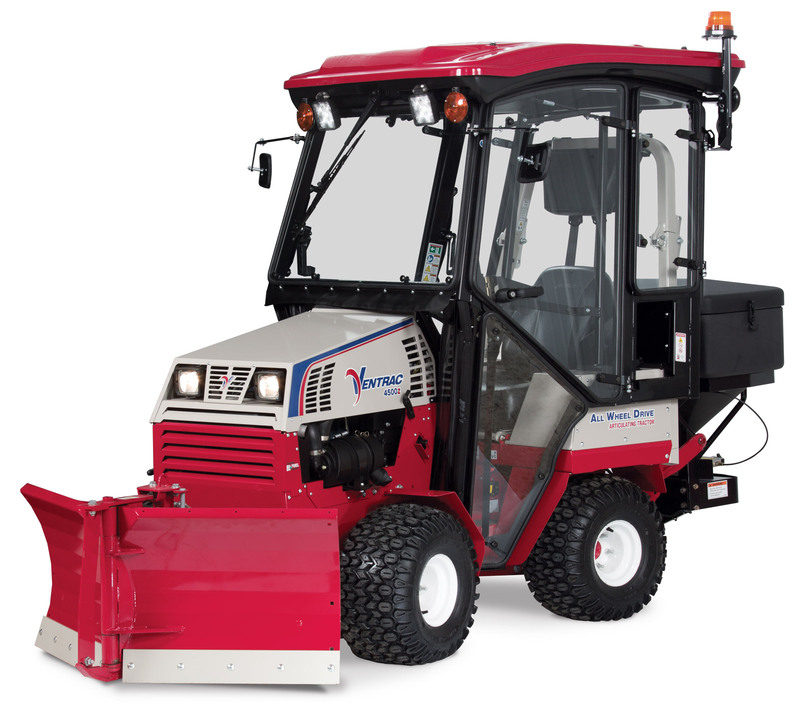 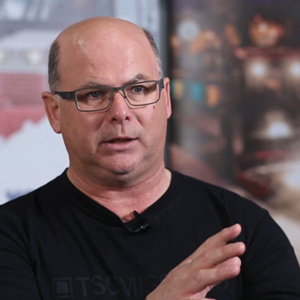 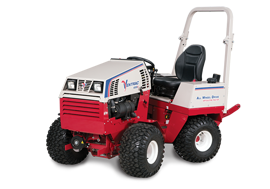 Chris Marino and his team have given feedback on the needs of snow contractors and were excited to receive their first fleet of Ventrac SSVs. 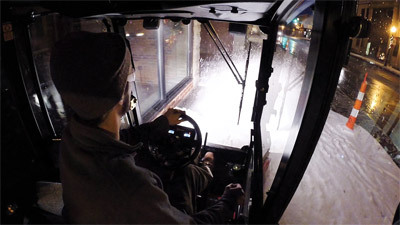 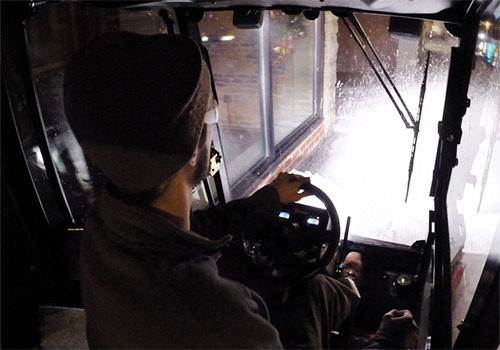 Go behind the scenes with Mark, our Digital Marketing Producer as he travels to Buffalo, NY to catch some action on our Sidewalk Snow Vehicle. 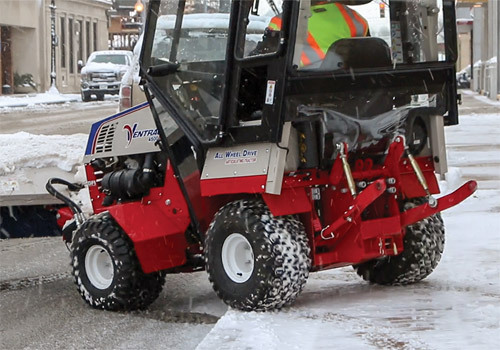 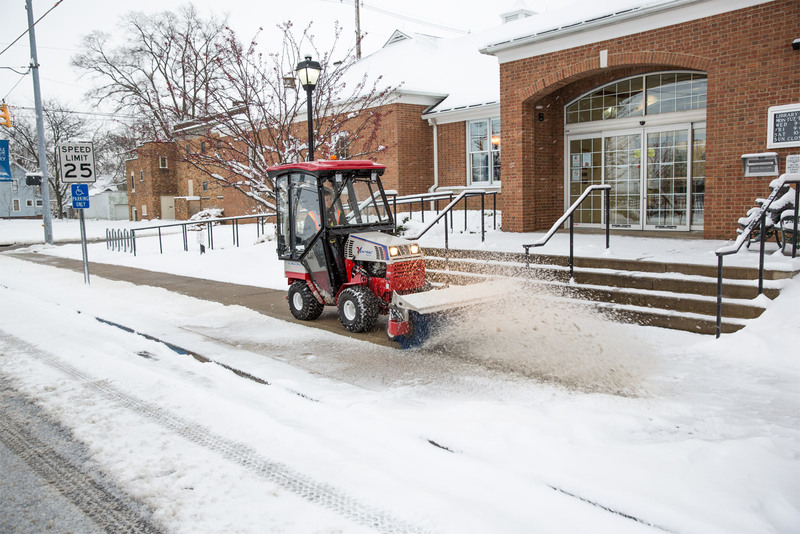 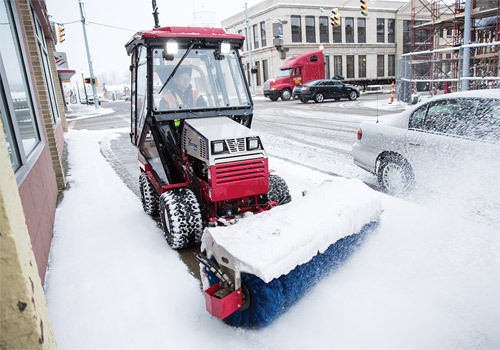 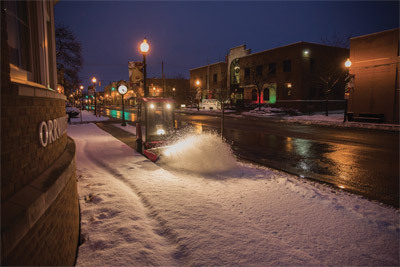 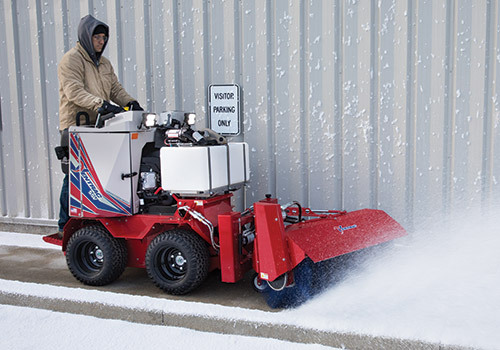 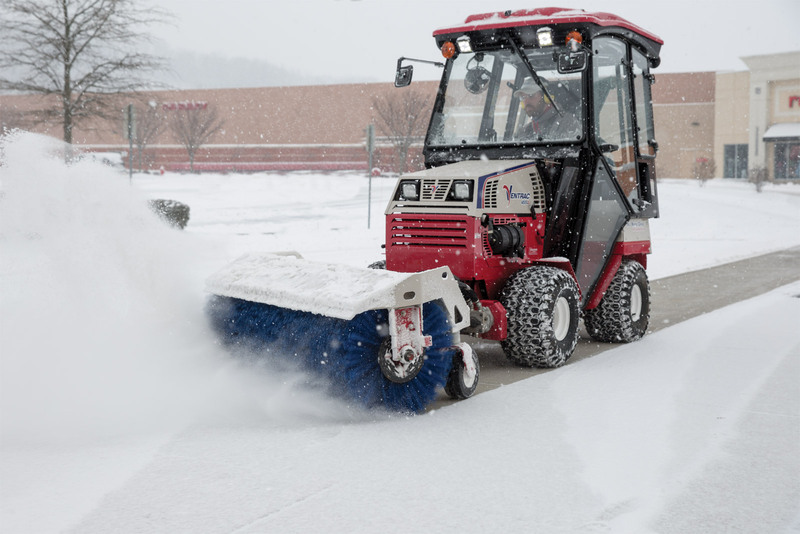 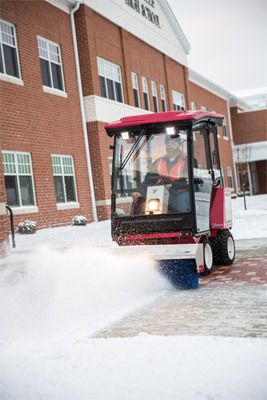 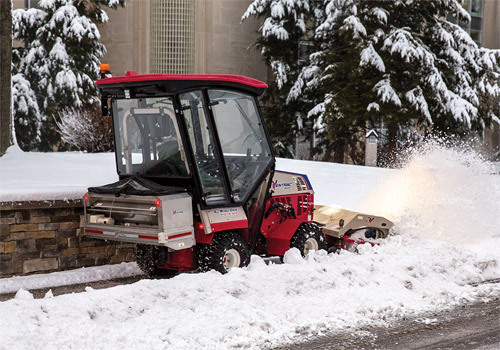 A 3 to 5-inch expected snowfall is the perfect condition for these commercial snow contractors to try out the SSV with Broom attachment for the first time. 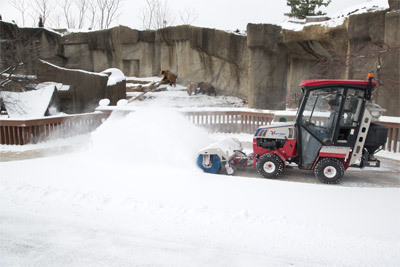 Enlarge Picture / Press Link · Ventrac 3400 Drops Salt using SA250 - The SA250 Spreader delivers salt precisely where you want it so as not to waste any. 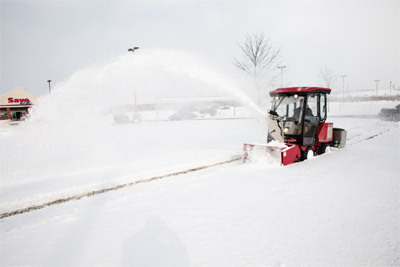 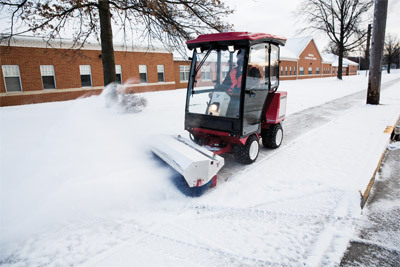 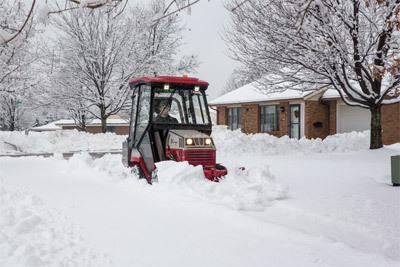 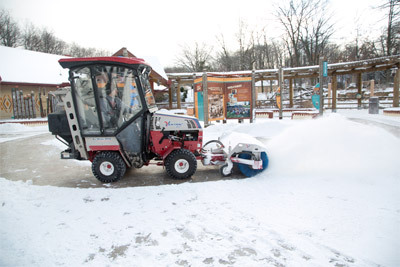 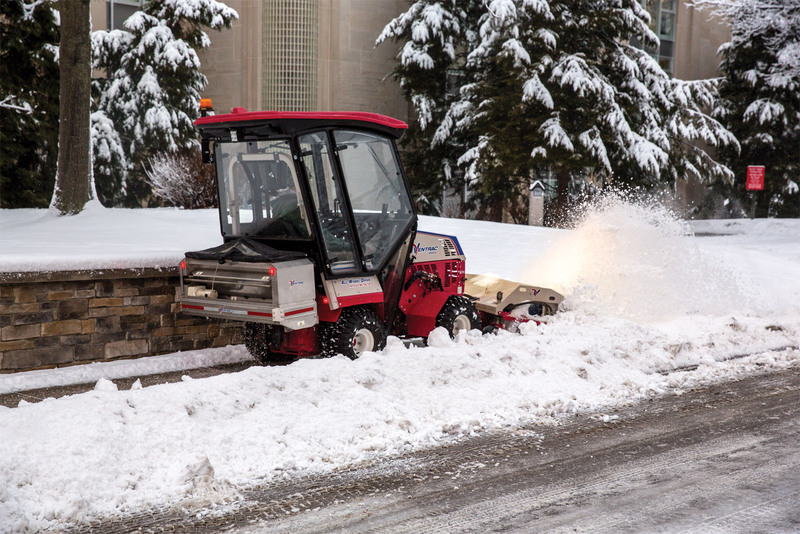 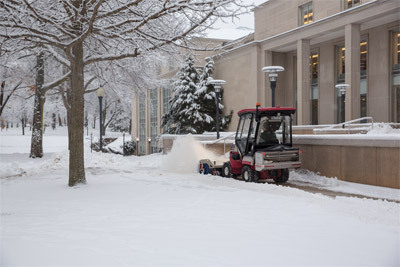 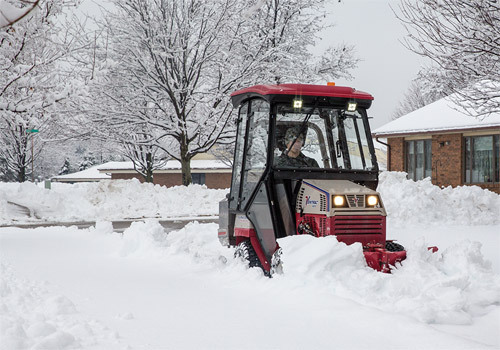 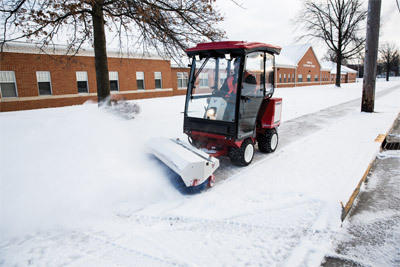 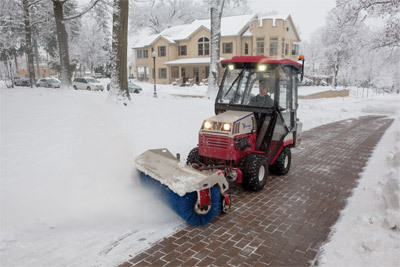 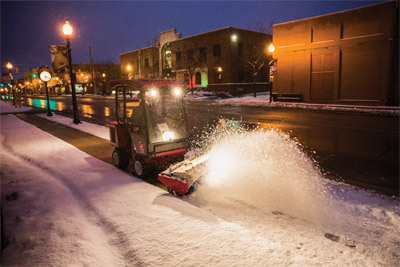 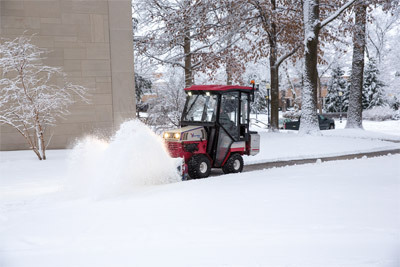 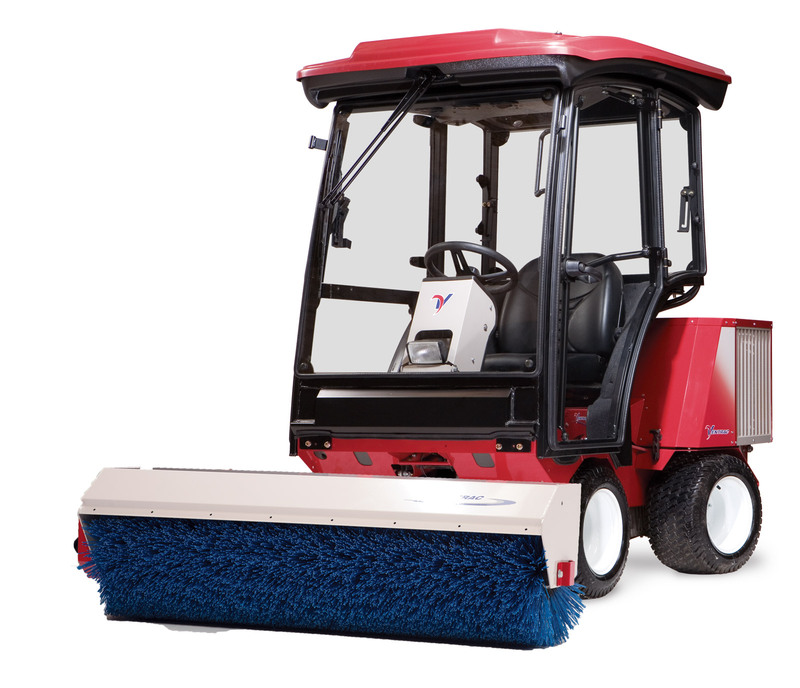 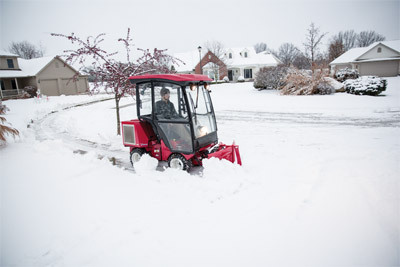 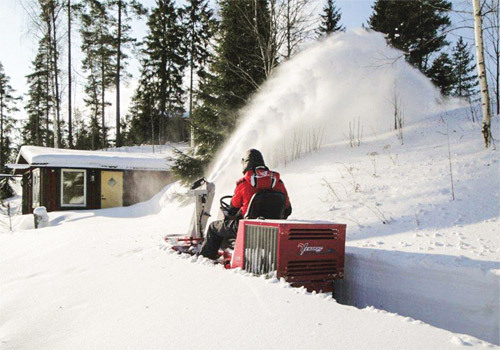 Enlarge Picture / Press Link · Ventrac 4500 Blasts Snow Away with Power Broom - Able to rotate in either direction, the Power Broom can also be angled either way for maximum effectiveness. 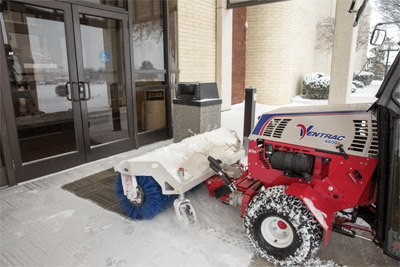 Enlarge Picture / Press Link · Ventrac 4500Z with Power Broom in Doorway - The Power Broom is capable of clearing areas that blades cannot go or are just not as effective like entryways to buildings.